FM: Tell us a little bit about 1.61 London AND how you got started? 1.61 London was set up by my brother and I seven years ago. Our family had previously worked in commercial refurbishments and we wanted to take that knowledge and use it in the luxury residential market. 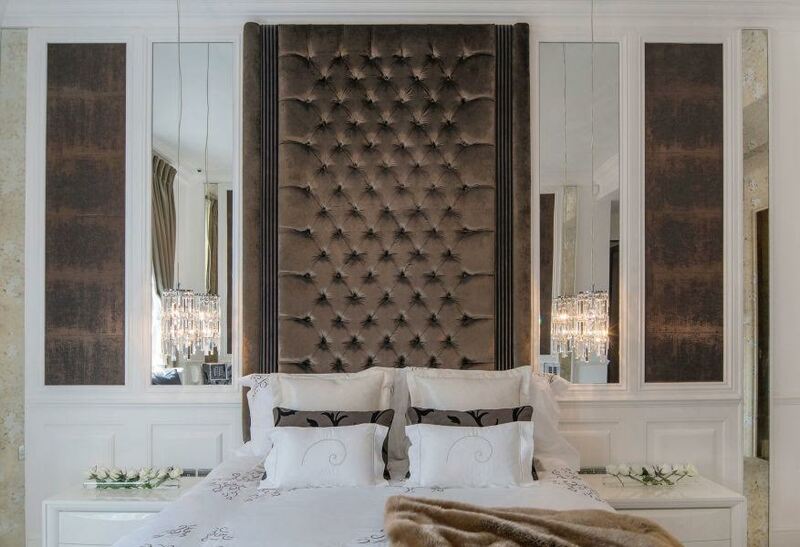 We set out to create a new benchmark in luxury interior design in London. We have spent years sourcing the very best that the residential world has to offer in home decor, from finishes and cutting edge technology to working with the leading bespoke specialists. This combination allows 1.61 London to create an unlimited spectrum of interior design styles and to deliver a London interior that is unrivaled in its detail and quality. Our continual drive for aesthetic perfection in our interior refurbishments is at the core of every project we undertake. The Golden Ratio, the derivative for our name and logo, encompasses the drive our team has for “creating aesthetic perfection.” 1.61 London is now recognized as a multiple international award winning interior designer. FM: What would you say is the drive behind the success that you've seen since starting your company? And did you ever think you would be where you are today? My brother and I grew up in a very close family. We both studied together at Eton and have always been very close. I think our different skill sets really complement each other. My brother is very creative and has an incredible knowledge of the build process where as I am more business minded and take care of all the client work. We both know we wouldn’t be where we are without each other. I also think we offer a unique service, we have a very deep knowledge of the London property market and deliver a turn key service. A lot of our clients are from abroad and ask us to find them a certain type of asset which we can then create their perfect home from. We are both very ambitious people and are very passionate about property. It’s something we have had an interest in from a young age. I think we were confident we would have some success in the industry. However to sit here with multiple international design awards and working with the biggest real estate companies in the UK in such a short space of time has been an incredible journey for us. We feel immensely proud of what we have achieved. It’s worth saying though you always need an amazing amount of support from the people close to you, some luck and a lot of hard work! We are very grateful to all the team members that have worked so hard for us over the years. FM: A lot of my followers are embarking on their own journey building their dream homes. What would be your top 3 pieces of advice they should keep in mind as they start this journey? Number 1- Without question is plan everything before hand. Design every detail. So many people jump into creating their home without planning it properly and that causes a compromised design and an increase in costs when you start to change things mid build. Number 2 – It’s not as easy as it looks. Do your research with the teams you work with. There is such a range of skillsets in the build industry that it’s key you find the right people to do the job so it turns out how you want it. Number 3 – Don’t rush the build process. To get things right you need to give the project time. FM: What projectS are you most proud of & why? There are two projects that for us really stand out since we started 1.61 London. The first is a project we did for an American couple as their London home. 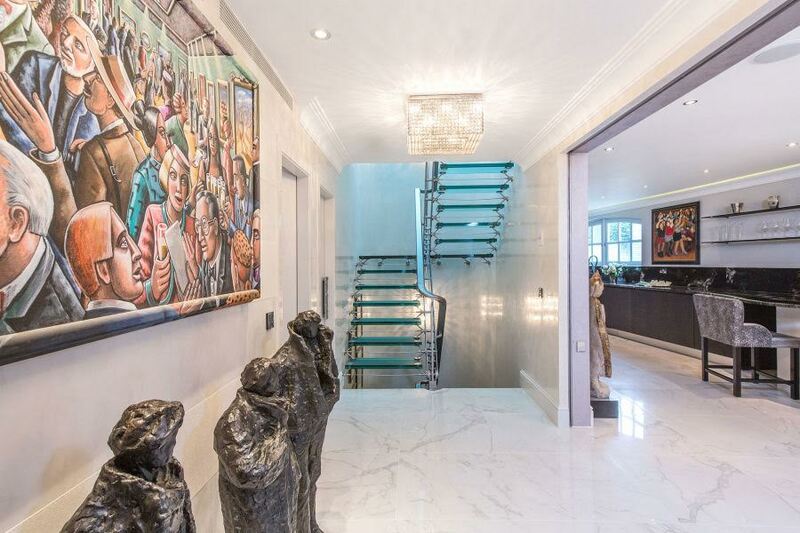 It was very early on in the company’s history and we sourced an incredible house near to Harrods. We completely redeveloped the entire house and created a very eclectic style alongside our client who had such a passion for the design. It ended up with us winning our first international design awards and put our company on the map. The second project is one that we finished recently next to Park Lane in central London. This was a real showcase of what 1.61 London can deliver in terms of quality and design – it is something that my brother and I own and are very proud of what we have created. FM: When you first start on any project, what are the very first steps you take to bring your clients' visions to life? We have a very clear design process that we work through with our clients. This has taken us a long time to create to try and make the process as efficient and smooth as possible. Firstly we take the brief from the client so we understand what their vision is for the project. We visit the site with this in mind and have a meeting to discuss things generally whilst in the space of the project. Internally we then work on the floorplans and also create a concept package for the client which starts to showcase an identity for the project based on all their inputs. At that point you have begun the vision of the project with layouts and key design ideas formalized. FM: What are the design trends you're seeing in London-- and do you feel they are similar to the USA design trends, or different? In London at the moment copper and bronze has become the in design detail for projects. It can give such a nice design blend. I think the USA and London design is quite different. In the USA there is generally more space and more volume allowing for very different design emphasis. Also we generally find that the products in the US are actually better than the ones you can get in London! FM: What future projects are you working on that you can share with us? We are working on some incredible projects at the moment in a number of the luxury regions of London – Kensington, Marylebone, Mayfair, Belgravia. There are two stand out projects currently – one is a brand new build development where we are leading the entire design for the project. The project is right next to where the world famous Wimbledon tennis takes place. There are 75 apartments, a cinema room and spa areas. We should have the design completed in the next few months for most of the spaces internally! It has been a busy 6 months. We are also just about to start a complete redevelopment of a house we sourced for a client behind Eaton Square in Belgravia which is one of the stand out garden squares in the UK. As such a blank canvas we are hugely excited about what the house can transform into. There is a beautiful private garden as well which is rare in such a location.